Technology is a synonym of solution and seeks to facilitate and optimize any human task. This versatility allowed Democracy to use various technological solutions designed to improve the processes involved in any election. When one thinks about the modernization of electoral processes, the first thing that comes to mind is electronic voting. However, in an election there are many phases where technology has a very important role to achieve the compliance of a schedule, but most importantly, the execution of vital processes for a successful election. The technological advances may be evaluated in different areas such as information services of electoral processes (websites), voters register data bases, biometric identification of the voters, political parties register, candidates nomination, geographic information systems for the distribution of circuits, and a long list of processes that make of electoral technology a complex and essential branch. Many countries have integrated technology into their electoral systems, just as had happened with electronic voting. One of the tech tools that have the highest demand is the voter’s fingerprint biometric identification. Counties such as Venezuela, Panama, Brazil, among others, use machines that filter the voter’s identification to avoid impersonation, double voting and other crimes related to voter’s identity. Brazil has a voting machine with a fingerprint system which enables the vote only when it confirms the voter’s identity. Venezuela has fingerprint readers that are connected to laptops, which identify the voter’s ID and allow voters to carry on with the voting process, just as the Brazilian system. Bolivia is working on a biometric system for voters that will be integrated to the civil registration that will process fingerprints, palms, signatures and photographs. Thanks to this technology, many fraudulent practices (the highest rate in Latin America) have been highly eradicated. 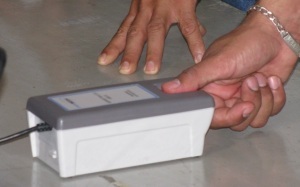 Electoral technology is also widely used in the nomination of candidates. The electoral organisms have adopted systems that enable online nomination, as is the case in Venezuela. During electoral times, the National Electoral Council enables a link on their website for the political parties to register their candidates, filling the data required for each nominee. Even though it’s a requirement to present all the documents in a physical format, it’s permitted to scan them and upload them into the system. This helps to facilitate and accelerate the nominations. The same process can be fulfilled for the registration of party organizations. Internet has allowed the electoral authorities display all the information so the voters familiarize with the process. The organization’s websites disclose the calendar for the entire process and normative, as well as information on how and where to vote, how to cast a manual or electronic vote, as well as a follow-up of the vote count, as it happens in Brazil. In this country, once the electoral tables are closed, the Superior Electoral Tribunal publishes the results in real time. In some Spanish provinces, if the voters register in the organism’s website, they will receive the provisional results via SMS. Internet voting is being developed, but already has some exponents. There are many doubts concerning its reliability, but there are also many experiences that register its application, as in the United Kingdom, Estonia and Switzerland, where Internet voting has been used for government elections and referendums, Canada has used it for municipal elections, and the United States and France for primary elections. All of these examples show merely some of the areas in which electoral technology stand out to provide more specialized software and hardware for every phase of an electoral process. These and other mechanisms that have a recognized success around the globe, have helped break down barriers and allow the expansion of the e-vote, which is on the top of technological advances in electoral issues. Colombia, Argentina, Peru, Ecuador, Bolivia, Puerto Rico and Mexico are a sample of the Latin-American countries that are studying the electronic vote as a solution to modernize their electoral systems, or have already started to implement it. To understand why this is happening in the region, we can take a look at what’s happening in Colombia, as an example. Colombians still use manual vote but the results are known in a very short time. However, there are two big deficiencies with this system: the results are extra official, and the success of the vote count depends on the type of election that is taking place. If the elections are for President, the numbers are known almost in real-time, but if the elections are legislative, the scenery changes, as weeks may pass before the results are known. Ecuador is expecting to implement automated voting. Since last may, The National Electoral Council is evaluating three alternatives to automate the electoral processes of 2013. Even though it seems as these were merely the first steps to modernize the Ecuadorian electoral system, truth is that the nation approved a pilot in 2004 which used160 machines that were provided by the Brazilian government. The great success of this first approach to electronic vote settled the basis for the implementation of the electronic vote in 2006. Puerto Rico, as an associated state of the United States, enjoys the political and economic benefits of the American nation, which helps Puerto Rico, drive its development. However, the island is stuck with an anachronistic electoral system (operational and regulatory), which sets it apart from the advances achieved by the United States in this field. Because of this, the actual government is propelling an important electoral reform. This reform includes the inclusion of electronic voting, which is expected to be released in the general elections of 2012. Meanwhile in Peru, after a long political struggle, electronic voting became a reality as a way of fulfilling a national need. In October 24th, 2010, the Congress of the Republic approved the bill for the gradual and progressive introduction of electronic voting. The country needed less than five years to achieve this, because even though the Law No. 28581 of 2005 ordered the National Office of Electoral Processes (ONPE) to approve the vote automation, the process was long paralyzed due to the denial on the approval of the legal instrument that makes automation possible. Peruvian authorities approved last year the regulation of electronic voting. The legal text concerns the procedure for exercising the right to vote, as well as the technical steps to be executed in an election day. In Mexico, Demetrio Navarro Tinarejo (Coordinator of the Electoral Training Area of the Electoral Institute and Civic Training (IECC) of Jalisco), successfully presented a proposal for implementing the e-vote in the 2012 elections. 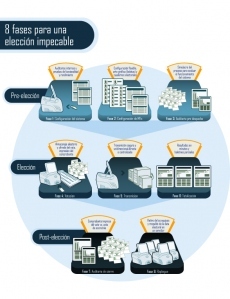 This electoral technology has been already proven in three municipalities of Jalisco. Navarro Tinarejo emphasized on the optimal results that the system has thrown, in order to demonstrate that the technology can be used and implemented with no setbacks. The influence of technology in the electoral process is booming. This boom is revealed with the various countries that adopted the computerization of elections, and strengthened in 2010 -and in many cases, improved their systems-, to give each nation, rapid and transparent results. The balance of last year shows that 30 countries from the United Nations (UN), have implemented technological mechanisms to comply the electoral processes. In Latin America the electronic vote has been consolidated in Brazil and Venezuela. Meanwhile, in Europe, the most advanced countries in this aspect are Switzerland and Belgium, and in Asia, the Philippines and India are leading the trend. Up next we will look at some details of the countries where the electronic vote is not an option, but the best mean to achieve trustable electoral results. Brazil: In last year’s elections, more than 400.000 machines were disposed for the 135 million voters of the country. After the closure of the process (two hours later), the results for the new elected President, as well as the elected Congress deputies, were known. The Superior Electoral Court was in charge of designing the electoral system, which has been exported and implemented by other nations. The system allows a fast transmission and aggregation of the results, but the machines do not print the proof of vote. Venezuela: In 2010 the country lead legislative elections. The automated system provided by Smartmatic and that has served a dozen of elections since 2004, consists of machines and electronic ballots that allow fast and secure elections. With this system, every voter receives its print proof of vote which is introduced into a conventional urn which can be counted (audited) at the end of the process. Venezuela is the country with more audits in the world over its electoral system, before and after any election. For example, once an election is finished, more than 50% of the shelter boxes that hold the printed proof of votes are opened. These proofs are compared with the electronic results that are registered in the machines. It’s worth to notice that recently in the United States there have been petitions to allow auditing between 3% and 5% of the machines. 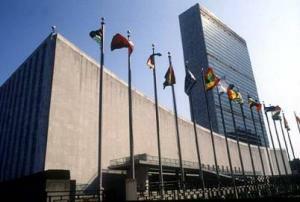 United States: With the recent elections held in this country, a major renovation of the electoral technology took place. Old lever machines and punch cards were replaced in many states by electronic vote machines that use touch screens or mixed systems, allowing manual vote and electronic count. Dozens of companies provided their machines and technologies, such as Premier, Elections Systems & Software, and Hart lnterCivic. Belgium: In mid-2010, the European pioneer in e-voting used once again this technology for the elections held in this period. The Belgian system is based in the delivery of a magnetized card that the voter must introduce in a voting machine that reads the electoral ballot. Each vote is marked with an optical pencil, and once the voter confirms its choice, it is perfectly registered. The vote is stored and encrypted in the machine once the voter removes its card. Thanks to the success of this process, countries like Estonia and Bulgaria adopted similar technologies. In late 2010, the Ministry of Interior of Belgium started to ahead a bidding process that takes over two years, to give an electoral automation company the rights to develop a prototype of a voting machine and a pilot for the elections of 2012. Switzerland: With a proven experience in presential electronic vote ((the vote that is exercised in an electoral college), the system jumped to remote voting, and in last November, citizens were able to vote from home or anywhere with an Internet connection. Internet voting or remote voting found a place, from where it will probably continue expanding towards other places of the world. Philippines: The archipelago consisting of more than 7 000 islands used the electronic vote for first time last year. With a history of violence because of the the delay in the publication of the results, in 2010, within 24 hours, the winners of the elections were announced. Over 80 thousand machines were installed in the country, and the results were known in a record time, and later audited. Thanks to the guarantees offered by the system, more than 80% of registered voters went to the polls.